Just last week I watched two Lauren Bacall films. And now there will be no more. I’d like to tell you about who she was and what she meant to me, but I can’t. 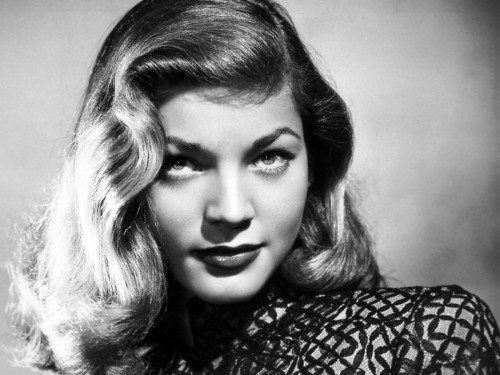 She was Lauren Bacall. If I was a woman, I’d want to be her. If I had a daughter, I’d sit her in front of The Big Sleep and Key Largo and Dark Passage. 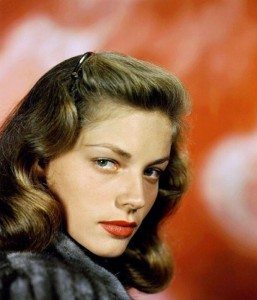 I’d say, “that’s what beauty is.” Not because Lauren Bacall looked divine, which she did, but because of how she looked at you. How she spoke. The set of her chin and flint in her voice and the flavor of her presence. Lauren Bacall enhanced the world, as essential to its richness as salt. She has passed away at 89 and now everything tastes bland and cold. I would have written her name on everything. To her, I’d engrave the world. Seeing her perform recently in Harper, older but still steely, I had to replay The Big Sleep — a film I’ve seen dozens of times. Watching her corral Bogart — her husband — I wondered why his name weighs more than hers. On screen together, all eyes are on Bacall. How could they not be? Lauren Bacall played few magnificent roles in the cinema, but when she stood forth, she was magnetic. Like an angel made of shattered glass. Like the rumor of yourself you know to be true. I watch Lauren Bacall and I hold my breath. Now I’m afraid to let it out.